Organise, an online platform that helps people get a fairer deal at work, joined the BGV accelerator programme in Spring 2017 under our impact theme of WorkerTech. Since then, they’ve helped workers at the likes of Tesco, Ted Baker and Co-op campaign for workplace change. Organise and their campaigns have recently featured in numerous national press outlets, most recently the FT. Speaking with Nat, founder of Organise, it was great to hear about the positive effect BGV had and continues to have on the venture’s success. This is one of the aspects of BGV’s offering we’re really proud of. Providing lifelong support, our portfolio ventures have access to our founder community, mentor network and investor connections for as long as they need. Nat, where did the inspiration behind Organise come from? I got the idea for Organise when a friend of mine was made redundant just after she’d become pregnant. It’s something that still happens to 54,000 women in the UK each year(!) even though its illegal. So we teamed up and started to draft a crowdfunder to pay her legal fees to challenge the decision. The threat of this crowdfunder got her, not only her job back, but 5 months full paid maternity leave. I saw the potential for people to team up and win better rights and benefits at work by standing together. So what stage was your idea at when you joined BGV? We were super early stage when we joined BGV. I’d run a few prototypes of the idea using a typeform survey and a mailchimp account to help people feed into a Government consultation on parental rights at work. And the success of this (1000 people took part in our consultation survey over 48 hours) showed me that there was something in the idea of digital tools to make it easier to team up and improve your life at work. We then built a very basic version of the community platform, and it was armed with this and our business plan that we went onto the BGV programme. Did you have any specific reasons for applying to BGV? 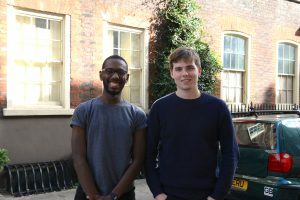 I think the idea of it being driven by the social mission was really important and the fact that there was £20,000 worth of funding available made it a real possibility that we could build the MVP we wanted. That being said, we’ve got so much more out of being in the BGV community than I ever expected to – we’re still based in their co-working space! And how did you find the programme – was it what you expected? It was so much more than I expected. The network we’ve grown through being on the programme and meeting other alumni is invaluable. 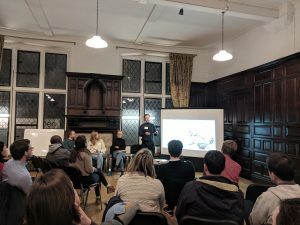 I think the actual sessions themselves were more practical than I expected them to be, I remember one of the service design sessions drilling deep into the bones of the Organise model – super helpful especially when you’re a fairly early stage company. Which aspect of the accelerator challenged you most? The expectation to be testing every assumption within your idea. It gives you a much more rigorous understanding of how and why your startup will succeed, but it takes some quite disciplined thinking! Is there anything in particular you learned on the programme that’s had a lasting impact? I think the biggest impact business wise is the service design approach. Our new app (TakeNote for iOS and Android!) has very different functionality to our original idea – because we applied the service design approach that we learnt through the accelerator. It’s servicing the need we saw from our members to help document evidence of workplace wrongdoing and harassment. The accelerator helped us learn how to spot, test and build with these fixes in mind. How have you found being part of the alumni community? Awesome. Our most recent hire was actually a founder of another BGV backed venture! BGV provides life-long support, how has this benefitted you post accelerator? The two most practical ways are through office space and follow-on funding. Both critically important when you’re starting to scale. Finally, what’s next for Organise? We’ve just launched our TakeNote app, so please check it out here!